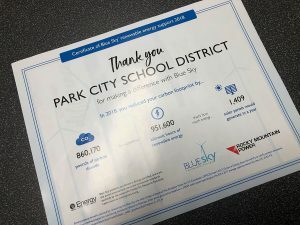 pcschools.us. Students can register throughout the year and take courses at their own pace. The cost is $40. On a brisk late-fall evening, Danely Aguirre sits alone in front of a computer in a room near the back of the Park City Learning Center. Nineteen, with dreams of one day going to college and becoming a psychologist, she is making up for lost time. In high school, Aguirre admits, her priorities were not in order. Schoolwork rarely came first. But she is here now because she sees the mistakes she has made, and she understands they don’t have to cloud her future. 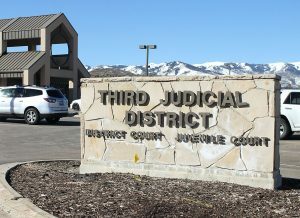 She’s one of dozens who enter the Park City School District adult education program each year in search of the diploma missed out on in high school or a General Education Development certificate (GED). "It’s an awesome opportunity," Aguirre said. "I didn’t take advantage of the high school years, so it’s nice to come back and actually finish. I got my priorities straight and want to get it over with to go into a higher education. It was like a gift to get this opportunity because a lot of people don’t have it." 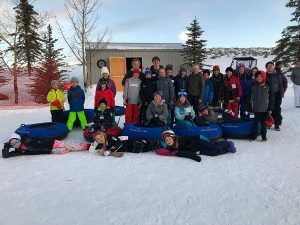 Kristine Cardon, a full-time teacher in the Wasatch School District who has taught adult education part-time in Park City for about four years, has seen people from all backgrounds come through the program. She remembers most of them. There was a 49-year-old contractor from California who came to Utah when the economy collapsed in the latter part of the last decade. There was the couple in their late 20s who wanted to learn so they could help their children with their homework. There also was the woman with four kids who came into the program with almost no high school credits. Counselors recommended she obtain her GED — which typically is a faster path than trying for the diploma when many credits need to be made up — but she insisted on a diploma. Four years later, she has recently completed her coursework and is nearing the completion of the program. A smile sneaks onto Cardon’s face as she tells the story. "She’s worked for it," said Cardon, admitting she gets personally attached to some students. "We need to have a little graduation party for her." The stories of the students are all unique, but there is one common thread tying them all together — a desire to improve their lives. Many find it impossible to get ahead without at least a GED, whether their goals are to go to college or simply advance in their chosen career. "It’s vital, because a lot of these people can’t go on to a different phase in their life," Cardon said. "They can’t even go to Salt Lake Community College or anywhere like that. Even the armed forces are wanting diplomas. If they want to go on to anything, they need a diploma. "A lot of them say they shouldn’t have dropped out. They’re upset at themselves, but they’re happy that there’s a way out." 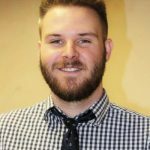 The success stories are rewarding for Cardon. But not everyone who enters the program ends up with a diploma or GED in hand. For some, life gets in the way. Cardon has seen people quit participating due to pregnancy or marriage or even incarceration. "We try calling them and harassing them a little bit, saying, ‘Hey, we never see you,’" she said. Added Diane Cashel, a longtime counselor within the program: "We try to make it work for everyone. Because it’s a hardship for a lot of people. Most of them, actually, with the time and commitment. They are adults, though. They make their own choices." While the coursework can take less time to complete than a traditional four-year high school experience — students typically do 15 assignments to earn one quarter credit, the equivalent of one term in one class — that doesn’t mean it’s easy. Aguirre understands how some students get sidetracked and never finish the program. "I think since you have to also focus on work and all that, it’s a little bit harder (than high school)," said Aguirre, who started in the summer of 2013 and hopes to be attending Salt Lake Community College this time next year. Additionally, some students don’t have the base of knowledge to quickly complete the program, instead having to start from scratch. While many of their peers complete all the assignments online from home and come into the Learning Center just to take tests, they often participate in weekly classes to catch up. "If they did drop out, it’s hard for them to pass the tests," Cardon said. "Because they don’t have the knowledge and the skills. Their skills aren’t up to a 12th-grade level to get ready for the GED." For the ones who stick it out, it’s often a life-changing experience. For Cashel, seeing that is one of the best parts of her job. "Even the kids who didn’t have that much to do, maybe a half-credit short, you can tell when they get it done, they’re like, ‘Yes!’" she said. "It’s a big deal." 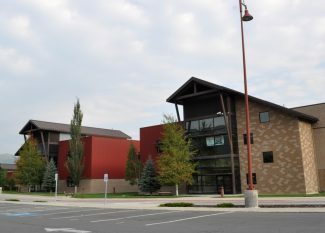 For more information on the Park City School District adult education program, visit pcschools.us. Students can register throughout the year and take courses at their own pace. The cost is $40.